18 experts. will be speaking. Starts at 9:00 AM. 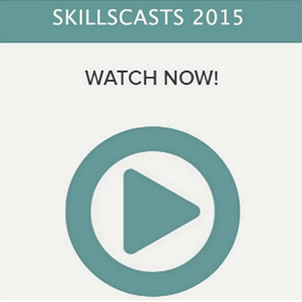 Want to meet and learn from the leading experts in the .NET, F# and C# industry? Discover news ideas through applied tuition and open discussion around the tools, approaches and projects absorbing our .NET community. Join us for at Progressive. NET Tutorials (ProgNET) 22nd - 24th June 2016, three days of learning and sharing (two days of expert led tutorials and a day of stimulating and innovative talks) ! Join us at the Progressive .NET Tutorials in London on 22-24 June 2016! Marking its 8th iteration in June 2016, the Progressive .NET Tutorials returns with a fresh set of days of learning and sharing! 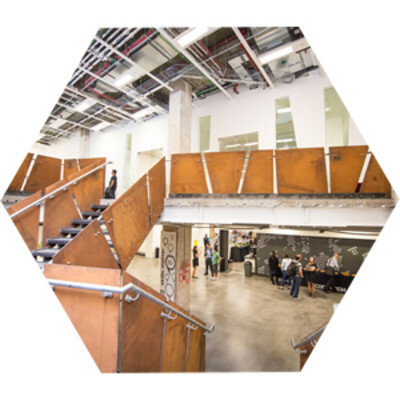 The programme is up and running with an excellent line-up of experts, starting with the great Glenn Block Keynoting and hosting a workshop, and including the likes of Rachel Reese, Dylan Beattie, Ian Cooper, Phil Trelford, Sebastien Lambla and many more! Follow us at #ProgNET to hear all the latest news. Glenn is a Director of Product Management at Auth0 where he focuses on SaaS Extensibility and Serverless architecture. Glenn is an active supporter of the OSS community and contributor to several OSS projects. He is a frequent speaker internationally, an organizer of several events, and a published author. He resides with his wife and daughter in Seattle.You can find him tweeting as @gblock into the wee hours of the night. scriptcs offers a lightweight and cross-platform way to write and execute C# code outside of an IDE. In this half-day workshop we'll get hands on looking at all the possibilities. Hosting scriptcs within your own applications and libraries for extensibility. You will script all the things! We live in connected world, powered by countless thousands of loosely-coupled distributed systems. As developers, we're working in an age where you can do almost anything by connecting to APIs. You can pay bills, order pizza, print T-shirts, publish videos... the entire internet is our digital Lego set, and we're only an HTTP call away from the most astonishing network of data and services that's ever existed. Sounds exciting, doesn't it? And it is... right up until the point where something doesn't work. And when it fails, it's probably failed because we've fallen victim to one of the fallacies of distributed computing. When your application's relying on half-a-dozen external services, data feeds and cloud providers, there's a lot more to scalability and performance than just prefetching your data and unrolling your while() loops. In this workshop we'll discuss the origins and applications of asynchronous programming, and how it relates to underlying concepts like OS threads and parallel computation. We'll look at how the asynchronous features of various development platforms have evolved, from modules to libraries to language keywords, and we'll look at how - and when - you can apply these patterns in your own projects to deliver responsive applications and great user experience even when your app is spending 90% of its time waiting for responses from external services. End of Day One #ProgNET Tutorials 2016! Apache Kafka is a fast, scalable message broker that can process millions of messages a second with very little hardware. From its roots at LinkedIn, it is quickly becoming the defacto open source durable messaging technology. It integrates well with many technologies, and can be used from many platforms. In this workshop, you will learn through a series of exercises that will enable us to leverage Kafka's core features. Containers are changing the way we design and develop systems. In this workshop, Ben will explore how to combine .NET applications and Docker to improve your infrastructure. The workshop will explore how they work in production and the real world. The workshop will be hands-on where you'll learn lessons from real-world deployments of Docker and container-based systems. Attendees should have access to a Docker installation. For the workshop, Ben recommends running Digital Ocean or via Katacoda.com. Local installations will work but Wifi might be slow when downloading Docker Images. End of Day Two - #ProgNET Tutorials 2016 Party with Pizza & Beer! PRESENTATIONS/ TALKS - Don't miss these inspiring talks! Dylan Beattie wrote his first web page in July 1992 (11 months after Tim Berners-Lee wrote HIS first web page), and he's been building websites ever since. In this talk, Dylan will reflect on the history of the World Wide Web, exploring what we've learned - and forgotten - along the way. He'll share with you the lessons he learned over a quarter century of building sites, writing code, designing systems, hiring developers, managing teams and delivering working software, and take a speculative look at the next 25 years of the web, and how it's going to keep on changing the world. During the session we will explore the various options we have in .NET ecosystem to achieve the same goal. More precisely we will dig into Reactjs.net that offers some extremely flexibility in both full .net and asp.net core. On top of that we will also explore the Node services that is a brand new project developed by Microsoft and offers the same capabilities for React.js and Angular. He is experienced as being a part of small and bigger development teams but he has led a small team too. Currently, he is working as a freelance React.js developer in Brussels, Belgium and also actively participating in community events and conferences where he is an occasional speaker too. In this 45 minute talk, we will introduce OAuth 2.0/OpenID Connect and IdentityServer followed by how we migrated an existing custom authentication system to OpenID Connect. We will look at patterns of extending and implementing security within IdentityServer. We will finish off with what's new in IdentityServer 4. Rajpal is a Principal Engineer at JUST EAT. An engineer/architect specialising in leading development teams within corporate environments, Raj is an implementer of delivery focused architectural, development and continuous deployment methodologies and techniques using agile practices. We live in a world where our tools, frameworks and libraries are often built for us. Especially in .NET, we rely on ASP.NET MVC, DI Containers, Unit testing tools and IDEs and all of these things sell themselves on hiding complexity and being "hard problems". In this session, David will explain how all these big tools and frameworks aren't really that different, and are built using the same language and practices that you using in your user-land code every day. We'll break down how all that stuff works - MVC, Test frameworks and containers - illustrating how it's all just meta-programming with reflection, and hopefully leave you with practical tips for implementing strong conventions, discovery, and implementing composition in your own code bases. Harry will share how you can compare and contrast Node.js and .NET, highlighting their distinctive features and some surprising similarities. Through understanding the execution model of Node.js, he will describe its scaling profile and its most compelling use cases. You will learn how to work through creating a working Node.js application, covering the tools and techniques that real-world projects need, including build automation, unit testing and integration testing. Finally, you will learn how common principles in Node.js are applicable to .NET, how some aspects of Node.js are reflected in .NET Core especially, and how to integrate Node.js with .NET to benefit from the best of both worlds. Harry works at Softwire, a bespoke software development company based in North London. His primary role is as a technical lead and mentor, although he has also worked as a technical project manager and consultant, as well as several years as a developer of course. After this talk, you will get to know basics of Azure ML Studio. You will be able to use variety of data sources, create experiments and use the predictions in your own systems. The talk will provide you with the information on how to enrich your system by reasoning from data using proven and highly scalable ML technologies in an easy and low cost way. She tweets at @BasiaFusinska and you can follow her blog. In this talk Sam Elamin will relate his real life experience working on a distributed system dealing with £100,000 worth of transactions every hour. Sam will cover monitoring and how to develop your features based on how your customers use your platform and, most importantly, business metrics. Sam will cover how to implement metrics in your application and setting up dashboards to gaining visibility into what is happening in your production system right now. We'll also go through some helpful techniques to help you convince your domain experts that gaining this insight is invaluable to keeping your competitive advantage. As an extra treat come and see how JUSTEAT time travels in production, using open source software that can be set up in a matter of days! Liam Westley is an Application Architect at Huddle where he works with some of the best .Net developers and UX designers to deliver world class collaboration software. He quite likes working just oustide the City of London as there is some fantastic food and coffee to be had within a few minutes walk. Previous to Huddle Liam worked at Criteria MX, a digital media startup and has worked as a consultant via his own company Tiger Computer Services Ltd, specialising in software for Broadcast Television. His Niagara SMS moderation system was used by QVC UK for eight years to display SMS messages from viewers, live, on screen. Liam is also responsible for the ticketing system for Hat Trick Productions which provides e-tickets to shows such as Have I Got News For You. Liam has worked for chellomedia, GMTV, BSkyB, SmashedAtom and Original Thinking Group. In his time he created the first in house weather system for Sky News using Visual Basic 1.0, acted as architect for two general election systems, project managed the launch of the GMTV web site, was key to delivering the first interactive television chat service in the UK for BSkyB and helped launch the first live shopping channel in the Netherlands. As an example, Evelina will use the fssnip.net website which allows simple sharing of F# code samples. The website stores a lot of very useful code snippets, but the original version of the website lacks any search capability and organisation of the code samples is a complete mess. In the talk, she will walk you through several machine learning algorithms for text processing that we can use to improve the website and make the code samples more accessible and usable. After this talk, you will not only better understand the principles behind several machine learning algorithms, but you will also get a good idea how you can use them in practice to build user-friendly web applications. 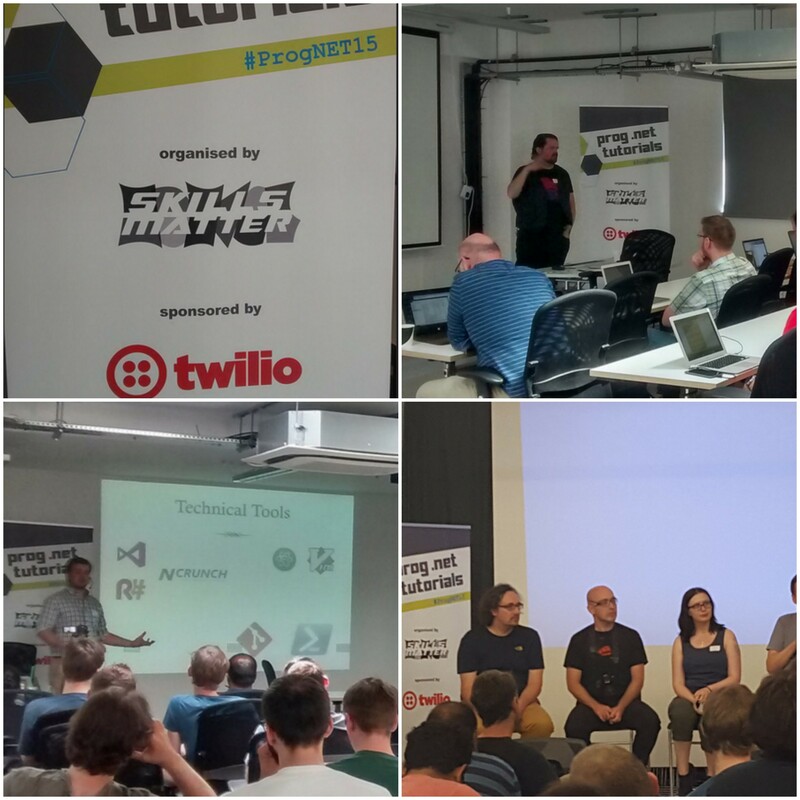 #ProgNET Tutorials 2016 Wrap Up! 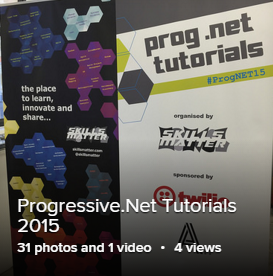 Check out the Highlights from Progressive .NET 2016! Don't miss the 2017 edition with more to learn from the leading experts in the .NET field! Would you like to join the world's top innovators, hackers and experts in .NET technologies for Enterprise Systems, Mobile and IoT? Want to demo, discuss and share your projects, devices and tools with a 100 strong community of passionate developers? Whether you are seeking to improve visibility of your tools, devices or projects, or simply would like to support #ProgNET16's passionate community through your engagement, our team will be able to help you select the best sponsorship package for you! Engage with 200 highly experienced and passionate architects and developers, joining the Progressive .NET Tutorials to discover technologies and ideas that drive .NET innovation and gain the skills to use them in #ProgNet's tutorial sessions . Show off your team, projects or tools at your own #ProgNet conference booth! Visibility of your brand and your support for #ProgNet in regular social media updates. Two Full Conference Tickets, providing access to all workshops and sessions and to the #ProgNet Party, which you can gift to your clients, your engineering team or members of Computing At School (which supports teachers learning computing so they can teach the new National Computing Curriculum). One Full Conference Tickets, providing access to all workshops and sessions and to the #ProgNet Party, which you can gift to your clients, your engineering team or members of Computing At School (which supports teachers learning computing so they can teach the new National Computing Curriculum). One free ticket to the #ProgNET Party, which you can gift to your clients, your team or members of Computing At School (teachers learning computing to teach the new National Computing Curriculum). Be remembered! Have your logo printed on all #ProgNET 2016 t-shirts, provided to all attendees, speakers and sponsors attending this year. Be remembered by all conference attendees, speakers and sponsors attending the party this year! Have your logo printed on the #ProgNet 2016 Party beer mats and on highly visible party posters and pop-up banners, which are bound to feature in lots of pictures this year. SPONSOR THE #PROGNET ATTENDEE BAGS! Be remembered! Have your logo printed on all #ProgNET 2016 attendee bags, provided to all attendees, speakers and sponsors attending this year.